First we shape our buildings. Thereafter they shape our lives. In the Reggio Emilia approach to education classroom design is considered the Third Teacher (the first 2 are instructors and peers). Here at Teaching2gether we agree wholeheartedly. Teachers convey critical messages to their students by way of the prepared environment. When we label materials with pictures and text we provide access for all our students: readers, non-readers, English Language Learners and any visitor to the classroom. When we post a schedule on the board it calms our students with attention-based disabilities, provides modeling for children with executive functioning needs, gives the class a sense of where we’re headed in our day, and holds teachers accountable to stay on task. 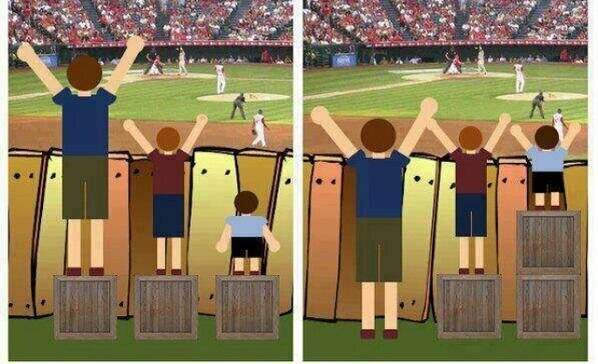 When we provide differentiated materials we allow students to make conscious decisions about what helps them learn. 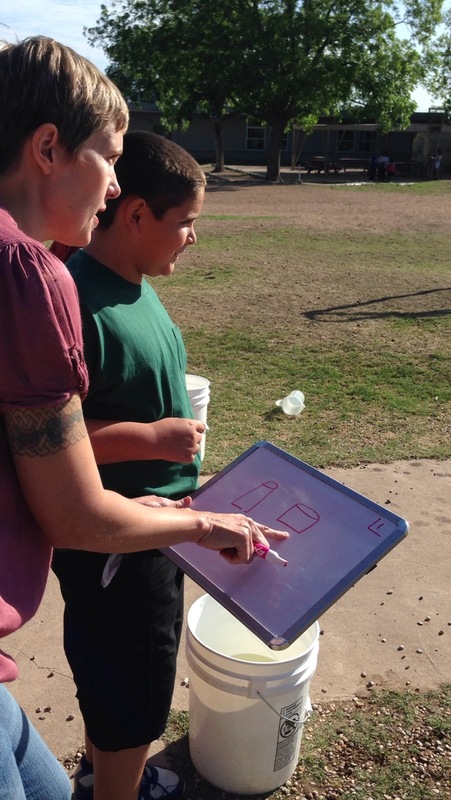 Ms. Hughes uses portable whiteboards to create on-the-spot visuals and to ensure repeated, varied exposure to concepts in any setting. SXSWedu update coming soon but in the meantime.. Check it out and check back soon for more high-tech ways to get inclusive! Going to SXSWedu? See you there! We are thrilled to be joining the many distinguished educators, entrepreneurs and visionaries at this year’s South by Southwest education and technology conference, SXSWedu, in our home town of Austin Texas, from March 2-6. If anyone is going to be there and wants to connect, let us know. It looks like it will be an amazing few days with speakers like Diane Ravitch and Wendy Davis, among many many others. We are looking forward to meeting fascinating people, exchanging new ideas, and sharing them with you! These teachers from P.S. 124 in NYC use Stations daily in order to work with every child. They lead two stations while the other two groups are independent. 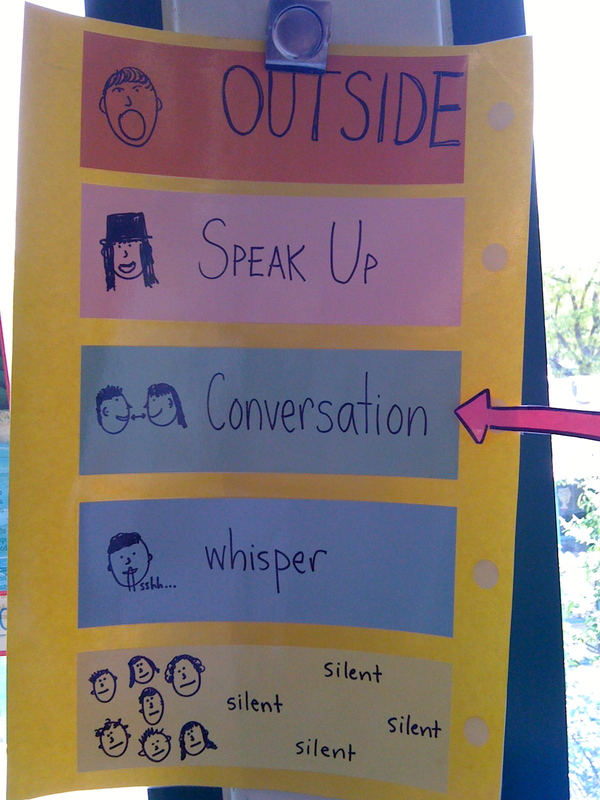 You’ll find examples of little visuals like this to use in your classroom to build community and independence. When we begin to work closely with at least one other adult in the room, we have to communicate and agree on just about every little detail of our day. All of a sudden we have to think about brand new questions like: Who is going to be in charge of which lessons? What should transitions look like? Do we both have to take conference notes? Should we use Station Teaching? What IS Station Teaching? Where did that kid go? As long-time co-teachers we have developed lots of theoretical ideas about working together to create successful inclusive classrooms, which you can read on our main page. But we also want to provide the much-needed nitty-gritty tips on how to make your classroom function effectively with two adults, service providers coming and going, and about a thousand different kids’ needs. 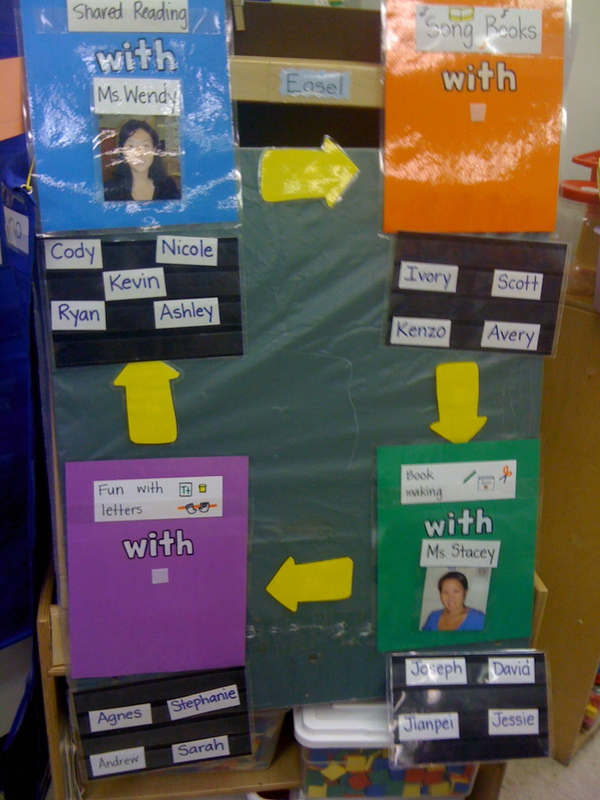 The honest truth is that it takes more legwork and a bit more laminating to set up a successfully co-taught classroom, but in the end, we think it’s worth it. Make that a “we,” Louisa, and we’re on board. You can start today by checking out the Collaboration Toolbox!